Allergy Insight is dedicated to topical issues concerning food allergy, skin and cosmetic allergy, coeliac disease / gluten-related disorders, food intolerance, restricted diets, ‘free from’ food, veganism / vegetarianism, gut disorders such as IBS, and other hypersensitivities. To navigate, use the drop-down menu above or see below for recent articles. 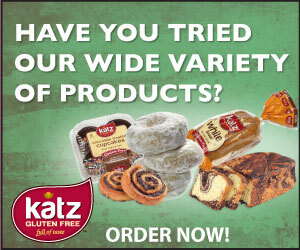 The self-appointed arbiters of bakery who call themselves the Real Bread Campaign argue that popular gluten free breads aren’t *real* bread because they contain …. additives. Here is why the Breadstremists’ food snobbery and thoughtless privilege harms coeliacs, both diagnosed and undiagnosed. The 14 EU-defined food allergens can and do turn up in cosmetic products, and given that they are sometimes described by their Latin names or may be ‘hiding’ behind the name of a derivative, they’re not always easy to spot. This article offers some guidance. The manufacturers of the Nima gluten sensor claim it is 96.9% accurate — a claim being parroted willingly by compliant bloggers. But where does that figure come from? And is it really true? This post looks at the data. All hail the new vegan sausage roll from Gregg’s! Unless you’re a militant anti-vegan or rare grumpy coeliac. But in all the criticism of the launch, are we missing a larger point about food allergy labelling? I think we are. Those who have allergies to multiple ingredients, such as preservatives, fragrances and food allergens, often look for ‘allergy free’ or ultra hypoallergenic beauty products. But what to choose if you have many sensitivities? Here’s a round-up of recommendations. The FSA have called time on the mislabelling of spelt on food products. Brands who fail to specify that spelt is wheat could face consequences. But are they listening? We look at some outstanding problems. Gluten-free shampoo? Does anyone really need it? Possibly — yes. But perhaps not for the reasons you may imagine. In this post, I look at Herbal Essences’ advertising of their GF shampoo, and address what’s wrong with it and with their product labelling. Those with salicylate intolerance or following the Guaifinesin protocol for fibromyalgia often struggle to find salicylate free skincare products. Here’s a round-up of those available. Goody Good Stuff sweets make a gluten-free claim, but also warn that their products ‘may contain traces of wheat’. Is this a problem for those with coeliac disease? As it turns out — no. Here’s why. PPD allergy has been a huge problem for some women who want to dye their hair permanently, and the risks to those not yet sensitised could be considerable. Could the new so-called ‘allergy friendly’ ME+ molecule be a solution? This post investigates. Some with coeliac are angry at vegans for daring to suggest that their circumstances are comparable. One may be a disease, and another an ethical ideology, but there are similarities between the two, not least in the eternal problem of finding safe food … Click here for more. If you’re susceptible to excess FODMAPs in your diet and have IBS, can digestive enzymes help? Some might be able to, but the evidence for others is modest. Here are some which may be able to ease symptoms. Do you always conduct a hair dye allergy test when you’re about to colour your hair – even when it’s a product you’ve safely used before? You should, but is the great variation in guidance and instruction causing apathy among women? Read more here. Many with coeliac are confused by the occasional presence of ‘wheat’ or ‘barley’ on their gluten-free food and drink labels, but there is likely to be an innocent explanation, and it’s all to do with the 14 declarable allergens in the EU. Read more here. Introducing the new release of The Beginner’s Guide to Histamine Intolerance, by Dr Janice Joneja – one of the world’s foremost experts on this curious, little-known food intolerance. Might you be effected by excess histamine in the diet. If so, how can you find out – and what can you do about it? This book explores what you need to know. Review here. PPD is a potentially dangerous allergen, found in many hair dyes, which can cause extremely serious reactions. This article looks at the problem, and lists some PPD-free hair colour recommendations for you to try. For more articles / blog posts, click here.